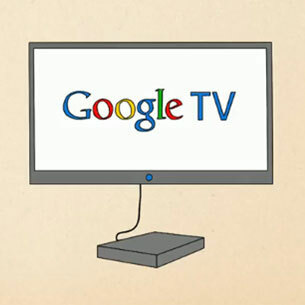 At Google I/O this year, “a new way to think about TV” was announced: Google TV, a platform that combines TV programming and the Internet. Here’s how it works: On your TV screen, type in what you’re looking for, and Google TV will find it by searching all your channels, recorded shows, YouTube videos and other Websites. You can save your favorite things such as photo albums, channels, websites and more to your home screen for easy access. Some new TVs will have this feature built in. Otherwise, you’ll be able to purchase a separate box for the TV you own. 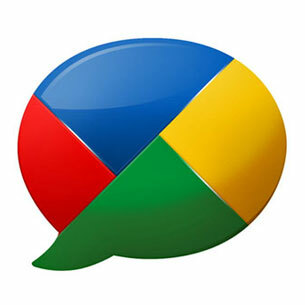 Back in February, Google announced Buzz, messaging tool that integrated into Gmail where users could share links, photos, videos, status messages and comments that were organized into “conversations” and appeared in the user’s inbox. Not long after the rollout, however, Google found itself under fire for its privacy oversight: By default, Google Buzz publicly disclosed a list of contacts that the user has most frequently e-mailed or chatted with, thus revealing sensitive information about themselves and the contacts. Twitter has become the go-to source for breaking news and social commentary. 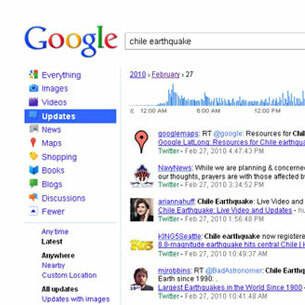 Realizing the historic value of these commentaries and first-hand accounts (such as from the Haiti and Chile earthquakes), Google began archiving every tweet in what it calls Replay a search function that presents in bar-chart-form the popularity of tweets throughout a period in time and lists associated tweets for you to browse chronologically. 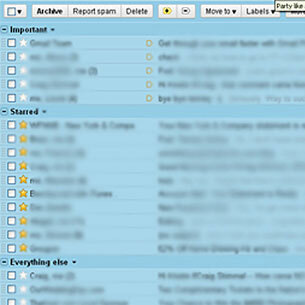 If you receive a high volume of e-mails on a daily basis, you know how time consuming it can be to sort through it all. This summer, Google announced the beta release of Priority Inbox, a feature that essentially separates the junk from the important stuff, and organizes it to help you focus on the messages that matter. To help Gmail recognize which e-mails are important to you, you click a (+) button to indicate it’s relevant or a (-) button to send the message to a lower priority. The more you use the buttons, the better Gmail becomes at, well, prioritizing your inbox. Not all of Google’s innovations are adopted successfully. 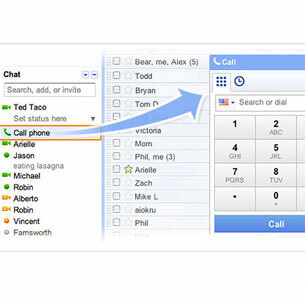 Case in point: Google Wave, which we bid adieu to this summer. Google Wave, a Web app intended for real-time communication and collaboration, just didn’t garner the adoption Google hoped it would, it said. 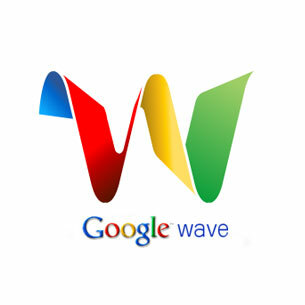 Google Wave’s site is still being maintained through the end of the year, however they ceased developing it as a standalone product. 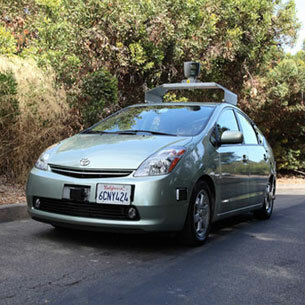 Google first introduced Street View, a feature of Google Maps that let you explore street-level imagery, in 2007. At that time, it only included images of five U.S. cities. 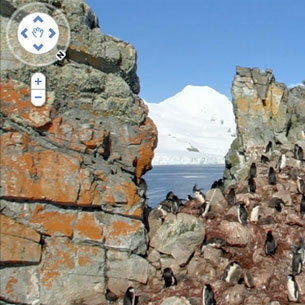 Fast-forward three years and now Street View has visited all seven continents, including Antarctica. Check out the beaches of Brazil, the moors of Ireland and Antarctica’s icy terrain – very cool stuff. If you work in an office, you probably spend a good chunk of time if not all of it at your computer. This summer, Google announced a feature that uses your computer’s microphone and speakers to call anyone with a phone right from Gmail. Calls to the U.S. and Canada will be free through the rest of the year. Calls to other countries can be as low as $0.02 per minute. Combing through your Google Reader each morning can get…well…a little monotonous. Google Reader Play is a new way to browse articles, blogs and more on the Web. To get started, visit the site and scroll through the items by clicking the arrow on the right, or just use the right and left arrow keys on your keyboard to browse. Reader Play uses the same technology as the “recommended items” feed in Reader to identify the most interesting pages on the Internet. When you use the tool, Google keeps track of what you star, like or share, and will show you similar items the next time you visit the site. It also transfers these items to your Reader account. Another cool feature: Reader Play has a built-in TV icon button that begins a slideshow of the items in your queue, taking the guesswork out of navigating. The iPhone was a hit. The BlackBerry is still popular. But the Google’s foray into mobile…not so much. 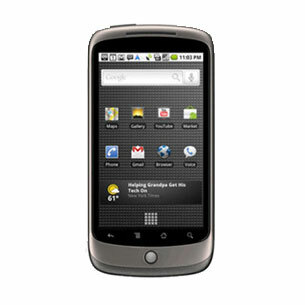 In the same amount of time it took Apple to sell 1 million iPhones, Google sold a measley 135,000 units of its Nexus One. On July 16, Google announced that it received its final order from the phone’s manufacturer, discontinuing the phone in the U.S. The Nexus One will still be sold in Europe and Korea.